The Perth Mint is Australia's official bullion mint and wholly owned by the Government of Western Australia. Established on 20 June 1899, two years before Australia's Federation in 1901, the Perth Mint was the last of three Australian colonial branches of the United Kingdom's Royal Mint (after the now-defunct Sydney Mint and Melbourne Mint) intended to refine gold from the gold rushes and to mint gold sovereigns and half-sovereigns for the British Empire. Along with the Royal Australian Mint, which produces coins of the Australian dollar for circulation, the Perth Mint is the older of the two mints issuing coins that are legal tender in Australia. Although Federation occurred in 1901, the Mint remained under the jurisdiction of Great Britain until 1 July 1970, when it became a statutory authority of the Government of Western Australia. From 1899 to 1931, the Perth Mint struck more than 106 million gold sovereigns, and nearly 735,000 half-sovereigns (intermittently between 1900 and 1920), for use as currency in Australia and throughout the British Empire. The Mint stopped making gold sovereigns when Britain abandoned the gold standard in 1931. Nevertheless, the refinery remained busy as staff turned their skills to making fine gold bullion bars. But it was not long before the Mint was involved again in the production of coins. During World War II, the Perth Mint began minting the Australian coinage from base metals. Up until the end of 1983, the Perth Mint also manufactured much of Australia's lower-denomination coin currency. The Perth Mint achieved "arguably the purest of all gold" in 1957 when the mint produced a 13-troy-ounce (400 g) proof plate of six nines - 999.999 parts of gold per thousand. :58 The Royal Mint was so impressed that it ordered some of the gold as the benchmark for its own standards. The Mint's new direction was formalised in 1987 with the creation of Gold Corporation by a State Act of Parliament. Under a unique agreement with the Commonwealth of Australia's Department of the Treasury, the Mint's new operator was empowered to mint and market gold, silver and platinum Australian legal tender coinage to investors and collectors worldwide. Prime Minister Bob Hawke launched the Australian Nugget Gold Coins Series in 1987. The first day's trading yielded sales of 155,000 ounces of gold worth $103 million, well above the sales target of 130,000 ounces to the end of June. Today, the Perth Mint is a member of an elite group of world mints whose pure gold, silver and platinum legal tender coins are trusted without question. Like the Australian Nugget, its Australian Kookaburra Silver Coin Series and Australian Lunar Gold and Silver Coin Series are extensively sought after by bullion investors worldwide. Up to 2000, the Mint's refined gold output totalled 4,500 tonnes, representing 3.25% of the total weight of gold produced by humankind. 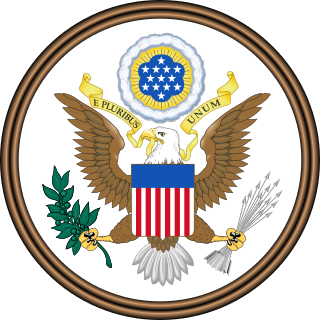 This is about the current holdings of gold bullion in the United States Treasury's Fort Knox Bullion Depository. In 2003, the Perth Mint officially opened an 8,400 square metre state-of-the-art manufacturing facility next door to its original limestone building. 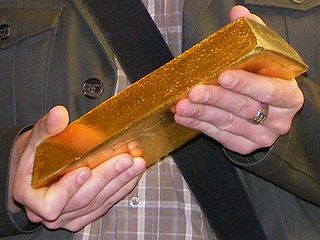 In October 2011, the Perth Mint created the world's largest, heaviest and most valuable gold coin, breaking the record previously held by the Royal Canadian Mint. The coin is approximately 80 centimetres (31 in) in diameter and 12 centimetres (4.7 in) thick, and made of 1,012 kilograms (2,231 lb) of 99.99% pure gold. It features, on the obverse side, the effigy of Elizabeth II, and a red kangaroo on the reverse side. It is legal tender in Australia with face value A$1 million, but at the time of minting it was valued at A$53.5 million. 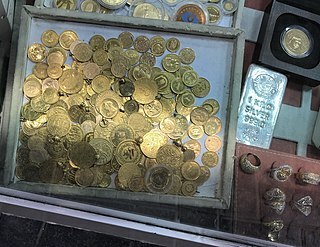 Today, the Mint continues to provide refining and other services to the gold industry and manufactures many coin related numismatic items for investors and coin collectors. It is responsible for manufacturing and marketing most of Australia's legal tender precious metal coins, including proof quality Australian Nugget gold coins, Australian Platinum Koala coins, Australian Silver Kookaburra coins, Swan series coins and bullion. In January 2018, the Perth Mint announced it would produce a blockchain based cryptocurrency backed by its own bullion (a digital gold currency) in approximately the next 12 to 18 months. In October 2018, a collaboration known as the Gold Industry Group began a Heart of Gold Discovery Trail in Perth. . The project included Perth Mint as a partner. ^ a b c Thomas, Athol. 90 Golden Years, The story of the Perth Mint. Gold Corporation. ^ "Group Structure | The Perth Mint". www.perthmint.com.au. Retrieved 12 September 2016. ^ "Attractions in Perth Western Australia". Perth Tourist Centre. January 2010. ^ a b "The Perth Mint". Gold-Net Australia Online. September 2002. Retrieved 3 January 2010. ^ "History". The Perth Mint. Retrieved 21 October 2017. ^ "Perth mint unveils $53m coin". The Australian. 27 October 2011. Archived from the original on 19 March 2014. ^ "World's biggest gold coin worth $53m". The Sydney Morning Herald. 27 October 2011. Retrieved 21 August 2017. ^ "Australian gold and silver coins of the Swan series". Knowledge base - GoldAdvert. 9 July 2018. Retrieved 9 August 2018. 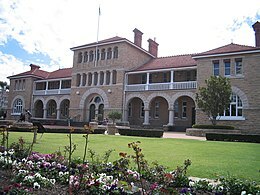 Wikimedia Commons has media related to Perth Mint. The Australian Gold Nugget is a gold bullion coin minted by the Perth Mint. The coins have been minted in denominations of ​1⁄20 oz, ​1⁄10 oz, ​1⁄4 oz, ​1⁄2 oz, 1 oz, 2 oz, 10 oz, and 1 kg of 24 carat gold. They have legal tender status in Australia and are one of few legal tender bullion gold coins to change their design every year, another being the Chinese Gold Panda. This and their limited annual mintage may, unlike for many other bullion coins, raise their numismatic value over the value of gold used. The Platinum Koala is an Australian platinum bullion coin minted by the Perth Mint and is the most famous series of platinum coins of Australia. The Platinum Koala is notionally legal tender, that is a legal means of payment.